Just Romantic Suspense: Do You Have A Favorite Child? Congratulations to "Jemi F", the winner of June's giveaway. Thank you to all who participated! 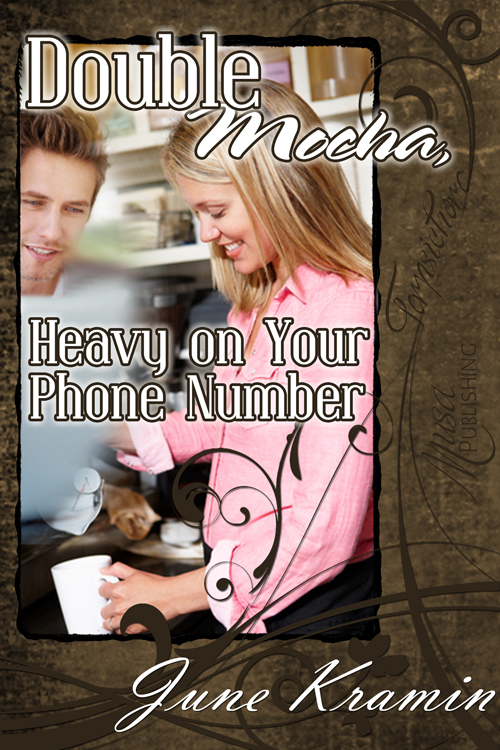 Although you aren’t supposed to have a favorite child, Double Mocha, Heavy on Your Phone Number, is certainly in the running for one of mine. It was my first venture into more suspense, but of course still heavy with romantic element. Even Ellie’s brothers tug at my heart with banter I just didn’t see coming. 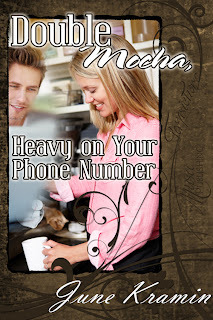 Double Mocha, Heavy on Your Phone Number was the winner at Love Romance Cafe - Best of 2011 awards for Best Mystery/Romantic Suspense/Thriller! Back Cover blurb: Unable to make it home in a snowstorm, Ellie seeks shelter at an old farmhouse. When the owner’s grandson shows up and happens to be the man she had given the brush off to twice, it takes all they have not to kill each other during the snowed-in days that follow. Thanks for stopping! Happy Reading! Please check out my website for other works ranging from time travel to thriller/suspense with two more romance releases scheduled by May! It is nice to meet you, June! I like the summary of Double Mocha with the idea of being stranded by a storm. Always makes for interesting things to happen! I will have to add this book to my TBR list and check out your others. Thanks, June! Hi June! The book summary sounds like a good read! Thanks for the giveaway! The book sounds very interesting with two plots: Ellie is dealing with losing her fiance and trying not to let Bix into her life and then her twin sister who is stirring up trouble between Ellie and Bix. So much conflicts but I definitely want to read the book. Oh, it never bodes well when the twin shows up! Looking forward to reading this one! It is nice to meet a man with so much determination.this sounds like a great story. Thanks for all the comments, gang! I had a convention this weekend & it was impossible to get away & hop on line. Nice to "meet" all of you!